I've read that the chainring is that spikey gear wheel at the bike's pedals that the chain egages with. 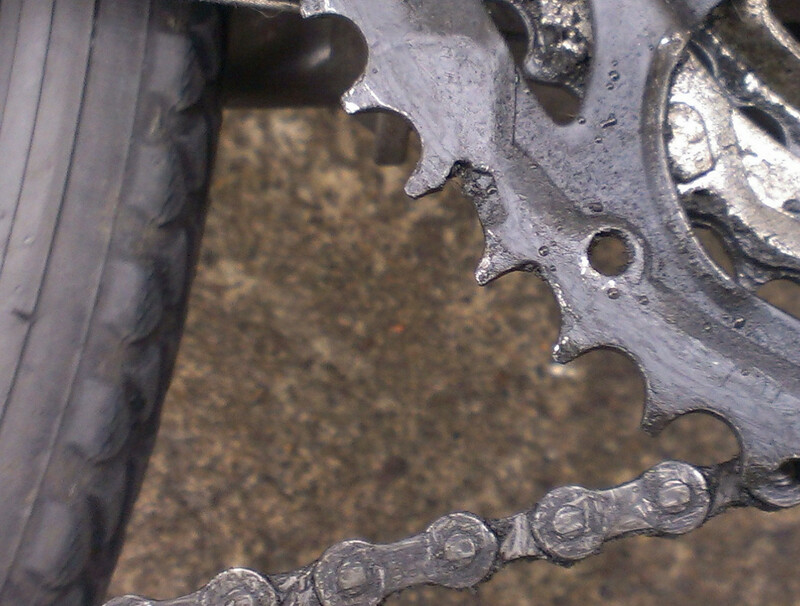 The teeth on that chainring are so worn on my bike that the chain jumps off depite adjusting the derailleur. 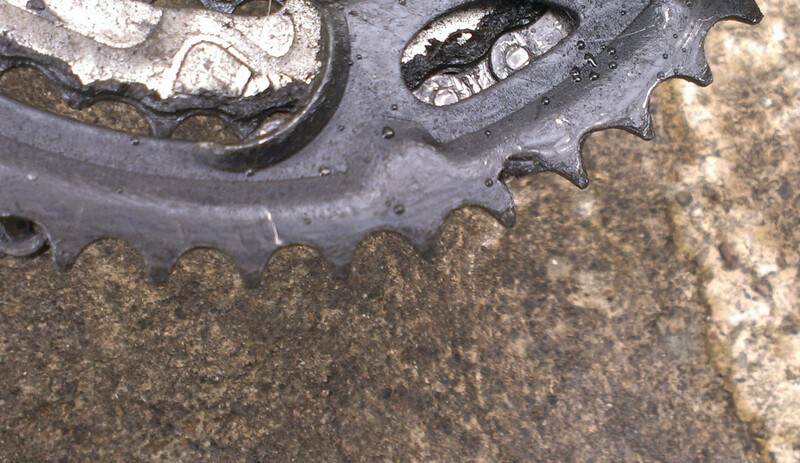 The teeth of the chainring at the back wheel don't seem as worn, although this answer says they wear faster. Are there other parts that should be changed at the same time? 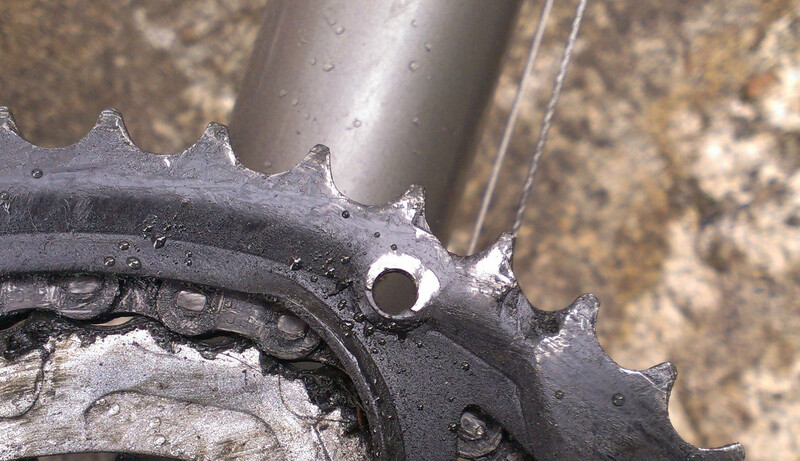 If the chain rings are badly worn, its almost certain the cassette (rear cogs) and chain need replacing. do not change the chain rings on their own. The chain rings on most cranks can be replaced. Some cheaper ones (mostly kids bikes) use rivets, and you need to replace the whole crank set. If possible, the easiest thing to do is replace chain rings with identically sized ones. The BCD (Bolt circle diameter) must match, you can vary the number of teeth but that changes the gearing and might need to adjust or (worst case) replace the front dérailleur, and may also need to replace the rear derailuer. If you decide to changing cranks, you will need to match the bottom bracket you have, or get a new bottom bracket. if you need to change BB, you can end up in BB standards hell sooner than you can imagine. Keeping the same BB and Crank set is by far the easiest. Rear cassette - easiest is replace like for like - same speeds and number of teeth on the big cog. As with the chain rings, if you change the number of teeth you may need to adjust or replace the rear derailleur. Chain - if you keep all the gears the same number of teeth, you can make the new chain the same length as the old one (presuming old was correct), otherwise you will need to work out the correct length for the new chain. Maybe a BB spanner if replacing BB. If your crank arms are in good shape, you could just get the chainring(s) and not the whole crankset. You "should" also get chain and cassette as the rear cassette could be more worn than you can see and the chain will not run smoothly and could jump around on you. That last photo shows the chain on a smaller chainring. Notice the air-gap under the chain? That is a clear sign that the chainring is worn and the "effective" gap between teeth is now larger. So instead of the load being shouldered by multiple teeth, one single tooth carries the load for an instant, accelerating wear of the chain and the tooth. You're up for chain and chainrings, and its worth doing the cassette at this time too. You might even want to do the jockey wheels for a clean sweep. Not the answer you're looking for? Browse other questions tagged crankset chainring . What is the advantage of a “compact crankset” vs changing a chainring? Changed chainset, bottom bracket, wheels and cogset and find these parts left over, and the rear wheel clicking?